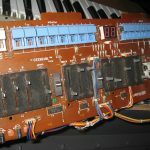 When quoting restoration/repair of the Juno-106 I often describe it as a money pit because of the amount of work it requires, and high parts price. 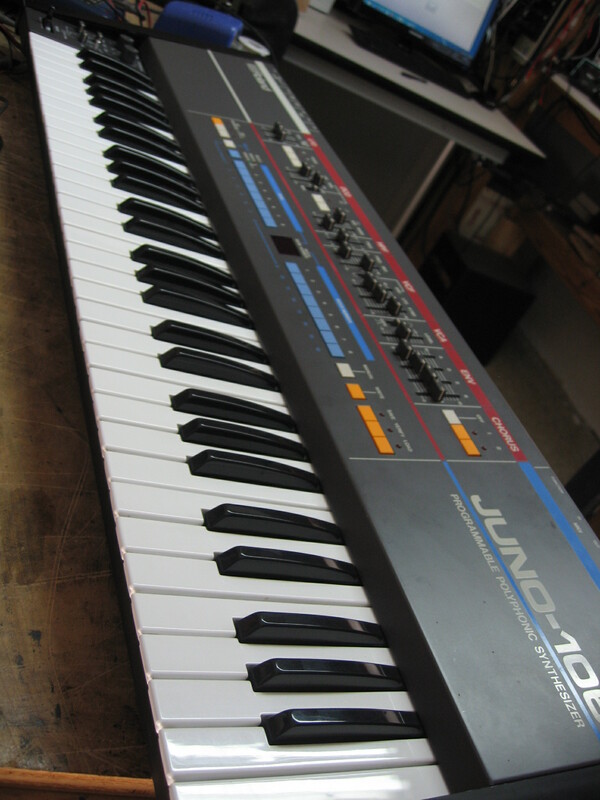 If it is in physically nice condition and you want to keep it then it is worth investing in as it is a nice sounding synth. 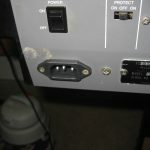 I just want folks to know what they are getting into up front and that it is not a quick and cheap fix as if the voice modules have not been dealt with then they need to be. 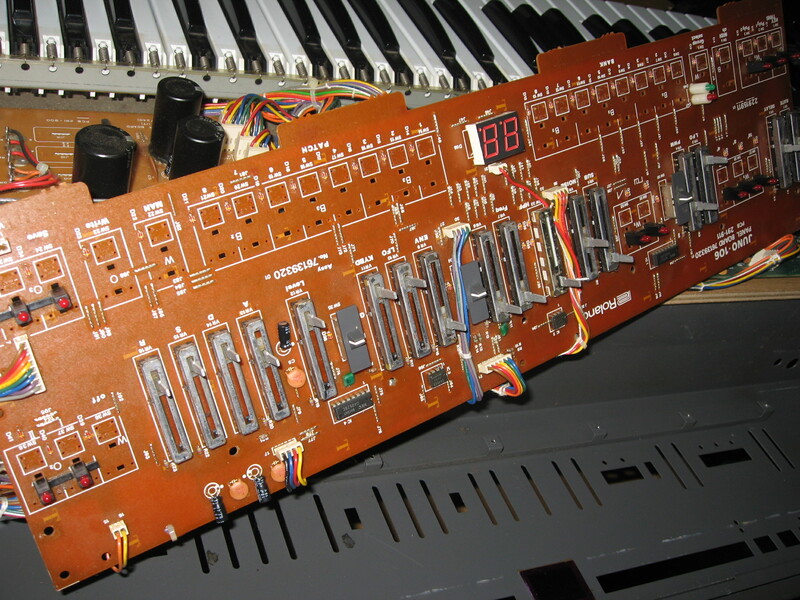 We all know about the voice module issues on the Juno-106. 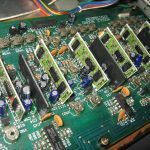 If the module has not failed the chances are it will so I recommend changing all 6 80017a modules. 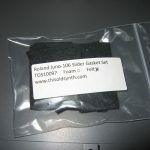 If you have the original 80017 modules then you need to change them as a set as Roland warns your in the Service Notes that the timbre is different on the “a” variant. 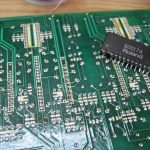 A common belief is that it is the epoxy coating becoming conductive over the years that is causing the failures (dead, crackling, failing the various tests in Test Mode) and that the acetone strip method was a cure. Long term the acetone strip method was not holding up and I had a couple of units in for rework that had been to the xxxxSpa. 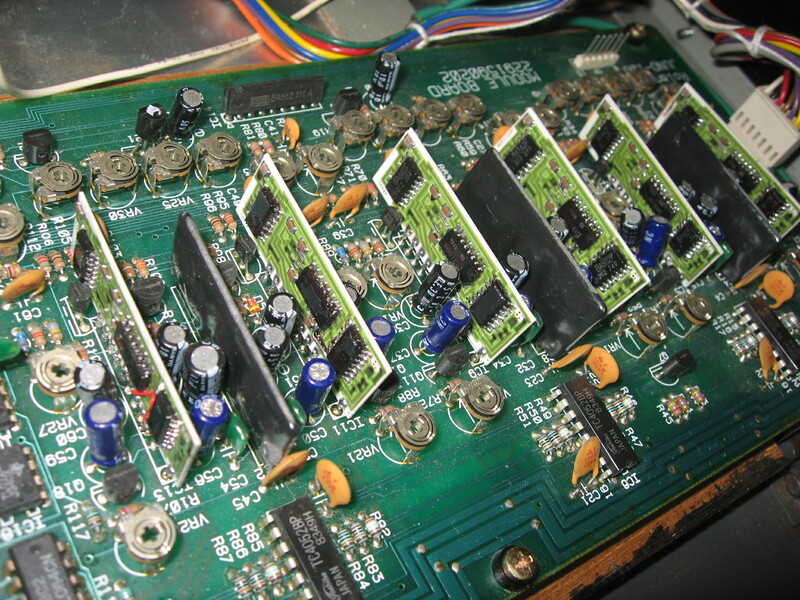 Looking at these with a microscope I saw incomplete material removal between the pins of the chips, and pins on the chips and the chips pins going cold-soldered. 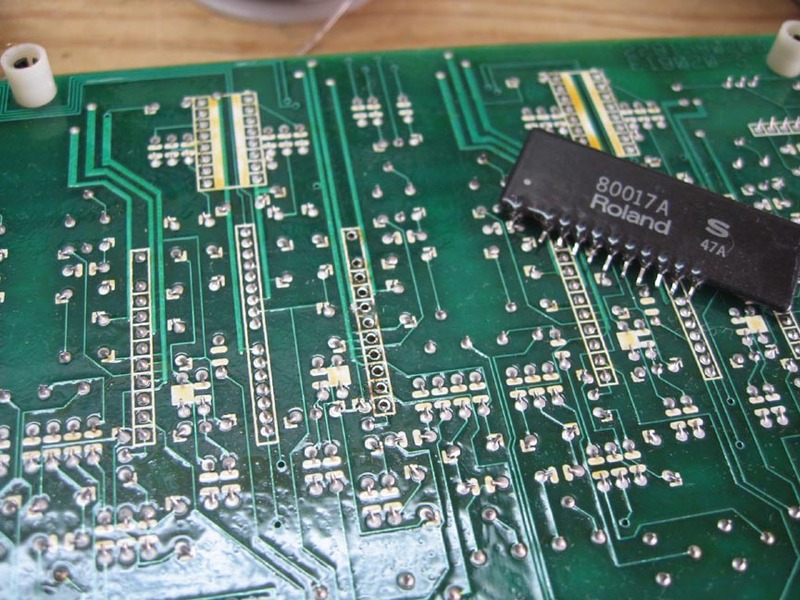 This leads to the belief that it is not the epoxy becoming conductive, but more it is the that the epoxy was pushing against the chips and as the temperature fluctuates, it expands and contracts which eventually lifts legs off the pads on the PCB. 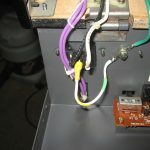 I re-flow the solder on all the pins on my re-work solder station under a microscope, then coat the module with silicone conformal coating to seal the moisture out and protect them. 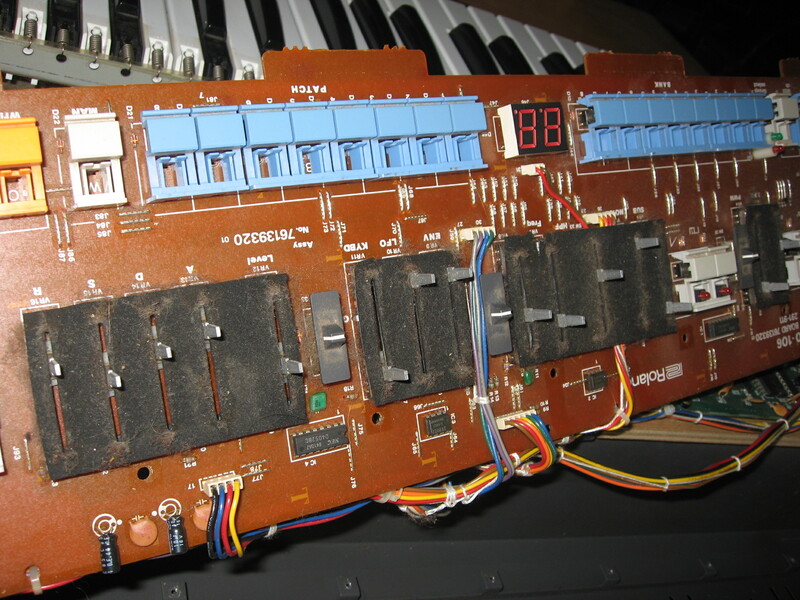 This will not cure a bad chip but has recovered a far greater percentage of modules with far less fallout. 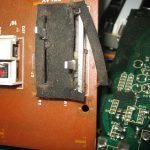 I also see failures of the Wave modules but the acetone strip (if the epoxy comes off with this method) does not seem to help as there is a red coating of “other stuff” over the actual chips that I have not tried to remove so cannot re-flow the soldering. This coating is much softer than epoxy so the epoxy is not applying any leverage on the chips. 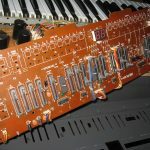 I still do some acetone strips but prefer folks to order the complete package of 6 voice and 3 wave modules from Analog Renaissance in Belgium (Analogue Renaissance voice and wave module package ) and bring/send them with the synth. They have a buy 5, get 6 pricing on the voice modules. These are really nice and a much better solution than acetone stripping. Shipping is a bit slow and the price is something like $350 depending on the exchange rate but I so much prefer installing them as I know I can just put them in and they set-up easily and work. Syntaur also carries the modules but do not offer a complete package price. 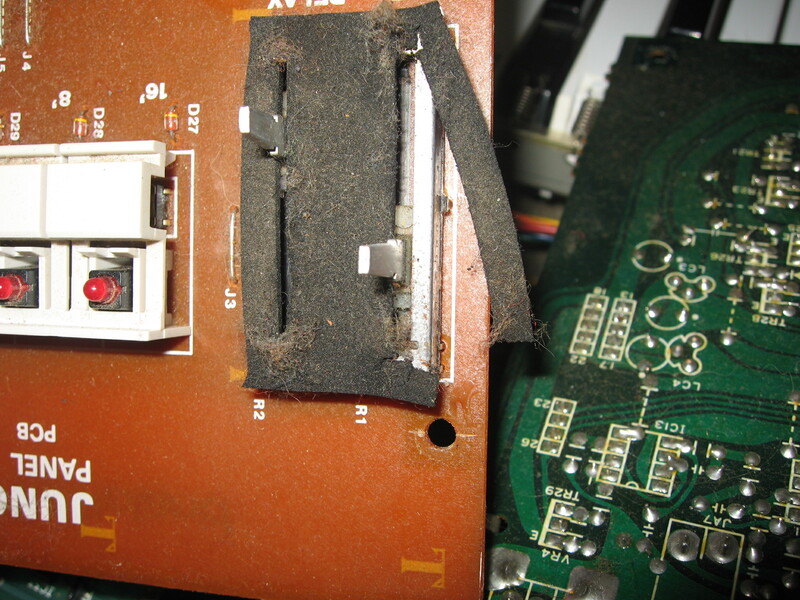 I change the battery and reload the factory patches on a service, plus clean the unit inside and out. There is a factory FCO for early battery fail that was later incorporated. Check that pins 4&5 of IC4 which is near the battery. 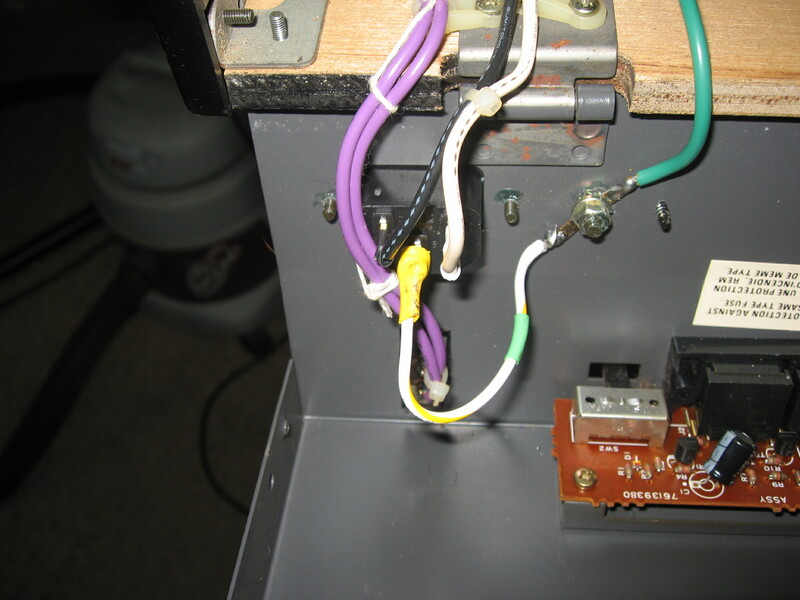 On the modulation panel it is common for the mod lever and/or LFO bend plate to be broken. Syntaur carries these. I also see failures of the sliders. When I service a mod panel with the old crumbling gaskets still in place I remove the old gasket and fit a new new laser cut gaskets (foam or fiber) which I have had made. Th e final area of concern, and one which many initially come in for is the front panel. 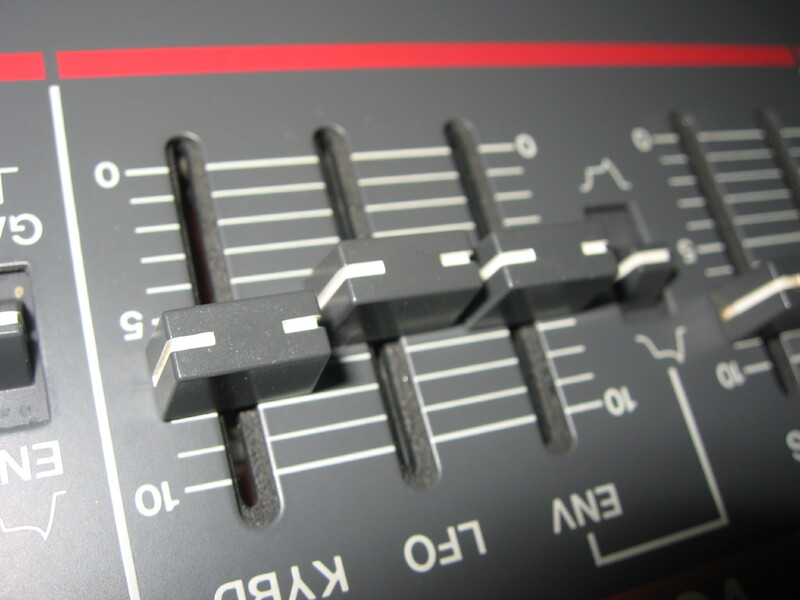 Bad sliders cause it to constantly drop into edit mode (you can see bad ones wittering on the MIDI Out stream). The gaskets over the sliders crumble and fall into the slider impacting its smooth travel so things get worse and worse with the shaft breaking when you move a tight one. 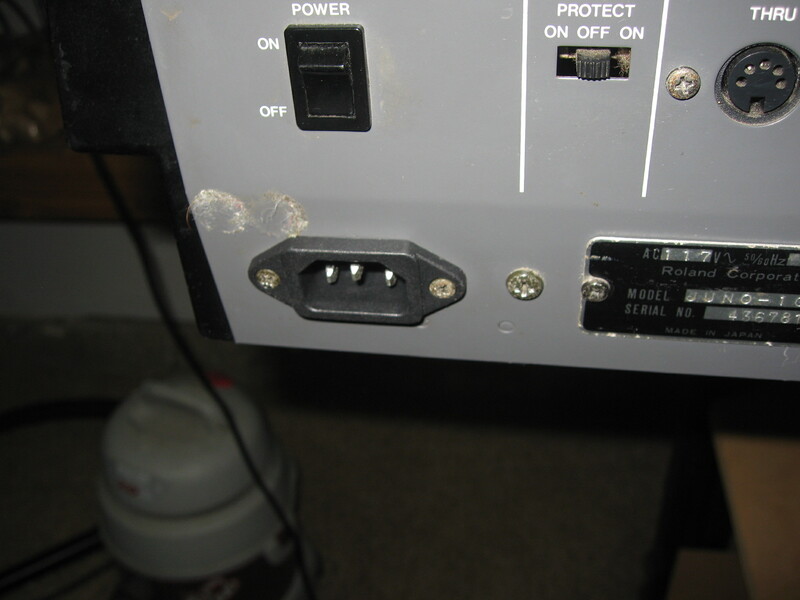 The switches behind the buttons become sticky and intermittent (they can’t be cleaned). Replace all of the button switches if they are original/any are failing. 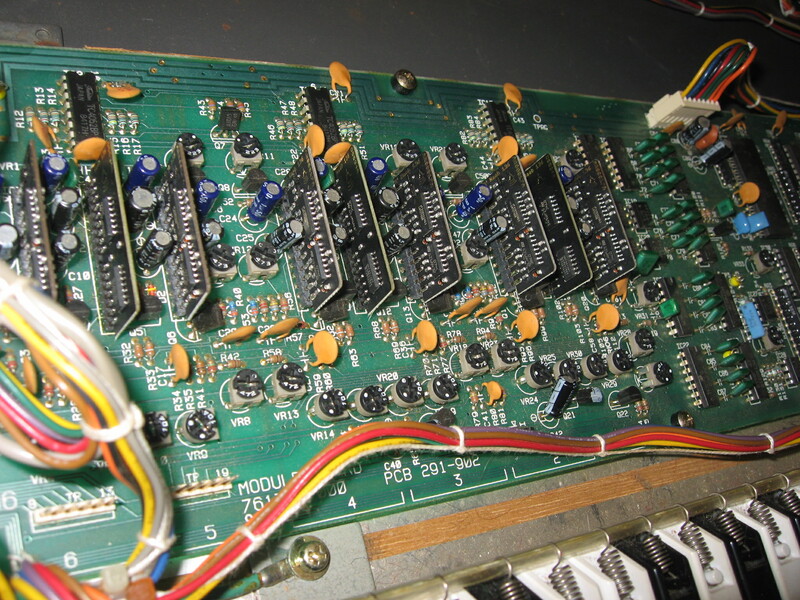 As you can see there is a lot of work to do in order to get a tired Juno-106 back to a nice operating condition. Contact me if you would like yours restored. I can’t believe how long it has been since I updated the blog, need more time to keep up with such things. 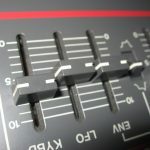 Opto-key is available to ship in both MIDI and Non-MIDI versions. Check out the newly manufactured and restored original MiniMoog cases that are exclusively available through This Old Synth. This work is carried out in a small US woodworking shop with all work done by the owner for consistent quality. 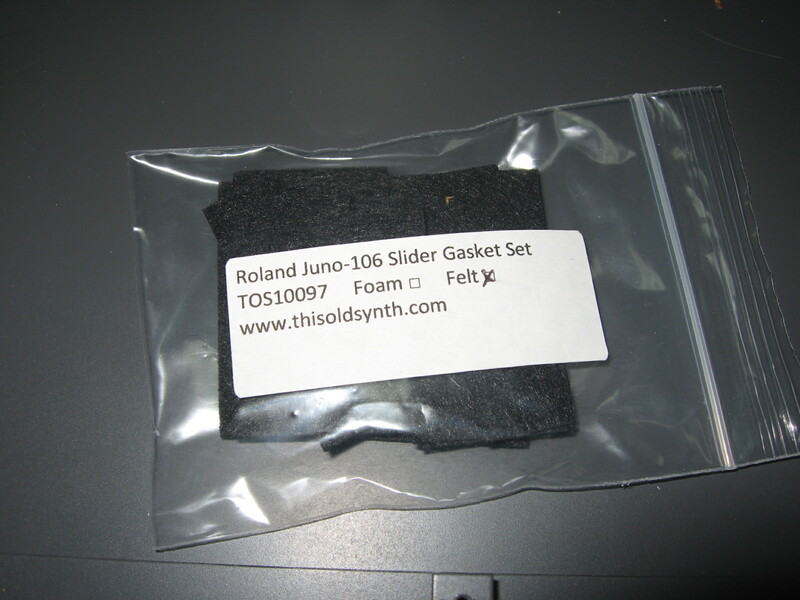 I also have solid MDF replacement case bottoms to replace the crumbling originals. 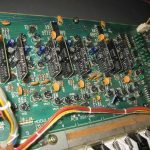 It is a great time for analog synths with all of the re-issues going on, and thankfully for me there is still great interest in the vintage ones that I’m focused on. 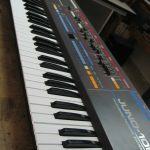 I have been struggling here with a lack of space and sore back so I have had to stop doing large synths. MiniMoog’s are the main focus here and always welcome! I decided to turn off comments to older posts today as I’m getting bombarded by spammers who have nothing better to do than bombard me. Oh well, welcome to the world of blogging!